Kale is a leafy vegetable that is a member of the cabbage family. It’s also related to broccoli, cauliflower, collard greens and brussels sprouts. It is becoming an increasingly popular food, due to how nutrient-dense it is. In fact, it is one of the most nutrient-rich foods on the planet. You can eat it in salad, a green smoothie, bake it into chips (which are surprisingly good), mix it into pesto, stir it into your mac and cheese or noodles, or pretty much throw it in any other food your heart desires. Vitamin A: 206% of the RDA. Vitamin C: 134% of the RDA (More than an entire orange). This is coming from a food that also contains only 33 calories, 6 grams of carbs (the good kind), and 3 grams of protein. Free radicals are caused by bonds in molecules not splitting properly, resulting in a chain reaction that eventually corrupts an entire cell. Antioxidants are substances that help to negate damages caused by free radicals in the body. While free radicals are normal in every day function of the body, they can build up and cause atypical amounts of damage if the body has no access to antioxidants. This damage is thought to be the leading cause of aging and several cancers. Often, antioxidants serve other functions, as well. Quercetin and Kaempferol, two antioxidants that have high concentrations in kale, have been found to lower blood pressure, and to have anti-inflammatory, anti-viral, anti-depressant and anti-cancer effects. Daily consumption of kale juice has been found to increase HDL (good cholesterol) by 27% and decrease LDL (bad cholesterol) by 10%. HDL plays a big part in helping us to break down fatty foods, playing a key part in digestions, whereas LDL is what causes heart disease and blocked arteries. Therefore, consuming kale regularly can greatly reduce your risks of heart disease and can help to fight the effects of existing heart disease. Kale has a large amount of compounds that are known to impede the growth of cancer cells, and may in fact directly reduce the spread of cancer. These include sulforaphane and indole-3-carbinol, both of which fight cancer at a molecular level. Eating cruciferous vehicles, like kale, may significantly lower the risk of many types of cancer. While the antioxidants in kale are known to fight some of the impacts of aging, two in particular may specifically lessen the impact aging can have on eyesight. 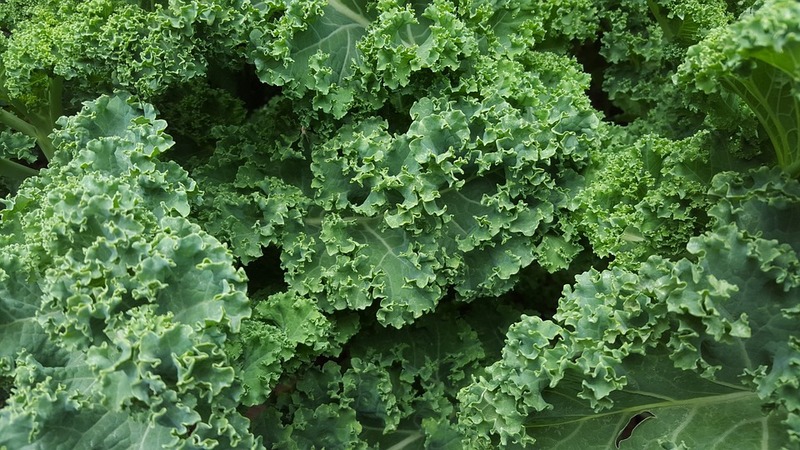 Lutein and zeaxanthin are in heavy doses in kale, and people who consume enough of these two carotenoid antioxidants have a lower risk of macular degeneration and cataracts as they age. There’s no reason not to include kale into your daily diet. It’s easy to mix into numerous recipes, and many find it to be a very delicious part of their menu. Kale has a wide array of health benefits, and if you are looking for an easy way to boost your nutrient intake, kale may just be the key to your good health.